Let’s talk Baby Boomers (those born between 1946 and 1964) and why getting them their satisfaction is critical to your business’ success. Boomers are too large to ignore. Did you know that almost 50% of the US adult population is over the age of 50? Boomers have always enjoyed an outsized presence compared with other generations. They peaked at 78.8 million in 1999 and have remained the largest living adult generation. There were an estimated 74.1 million Boomers in 2016. These are hardy folks, living longer than their parents and grandparents, due in part to being more wealthy, active, and physically fit than those who’ve gone before them. Boomers have money, and they spend it. Boomers account for 70% of US disposable income and 42% of US spending power; and these numbers are not projected to change any time in the next five years. With their days of buying diapers and formula far behind them, Boomers are again able to focus on themselves and what they need. Despite the common perception of the Millennial "start-up" culture, Boomers are twice as likely as Millennials to start a new business. Boomers will inherit about $15 trillion in the next 20 years and more than half of them say they are more willing to splurge on themselves now than they were in their younger days. Not surprisingly, they spend the most across all product categories. Boomers increased their entertainment spending almost an entire percentage point last year and purchased a third of the movie theater tickets. How much of those Boomer dollars did your company see? Don’t assume you know what they want. ASK them what they want. Since this group is so large, it is impossible to stereotype -- so don't even try. More than half of Boomers say companies are stereotyping them... and getting it wrong. Of all generations, this conundrum we call Baby Boomers may be the one most necessary to survey. Did you know that Boomers purchased 27% of the tickets sold for Star Wars: The Force Awakens? If you ask, they will let you know that they love movies, but they don’t usually go to opening week. They prefer to go on weekdays, when it is less crowded, and they won’t need to contend with the frustration of long lines. Ask your Baby Boomer customers how they want to spend their discretionary income and you will get answers you were not expecting. Ask your unique group of Boomer customers what their unique preferences are. They will be happy to tell you what they want; and if the price is right, they'll come in ready to wield that spending power. Use the power of technology to listen to their feedback. 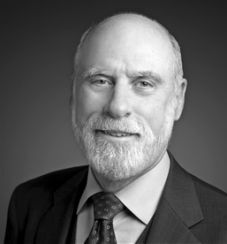 As Internet pioneer and Google evangelist Vint Cerf said of Boomers, “We aren’t scared of technology. We invented it!" Nearly half of those aged 52 to 70 spend at least 11 hours a week online, according to a study from Limelight Networks. Additionally, 30% would access a mobile coupon to redeem in a retail store, and 40 percent of smartphone users made a purchase after conducting searches on their devices. Boomers are making more purchases online via computers, smartphones and other devices, suggesting they are visiting traditional stores and using a physical card less frequently. These card-not-present (CNP) transactions now represent 40 percent of credit spending on Visa for consumers aged 60 to 69, which is only slightly lower than the overall average CNP of 40.3%. The generation which was born post-World War II is the fastest growing segment of technology consumers. After you give them the tools to tell you what their preferences are, do what they ask. Take action with the insights they’ve given you. Boomers are the most value savvy sector in the market, completely willing to walk away from someone trying to take advantage of them. Boomers are the most likely to write off a retailer if a sales associate doesn’t appreciate their business, if a store is messy and if returns are a hassle. Surveying Boomers is a crucial first step; but making changes to keep them happy seals the deal. Boomers like being listened to. They like being appreciated. Focus on them. Ask what they want and follow through on it. Then, enjoy their unswerving loyalty. Now...don’t get me started on Gen X.